December is usually the point in the year where I’m sort of freaking out about state testing coming up in spring. So much seems to be happening, the unknown of snow days in winter is looming, and I start to stress about not having enough time. I try to incorporate fun tasks into our days to keep engagement high and the holidays are a great way to bring fun into our learning while keeping things educational. A couple years ago I had an idea for a way I could bring Christmas into our math block- we could make elves and practice area and perimeter all at the same time! 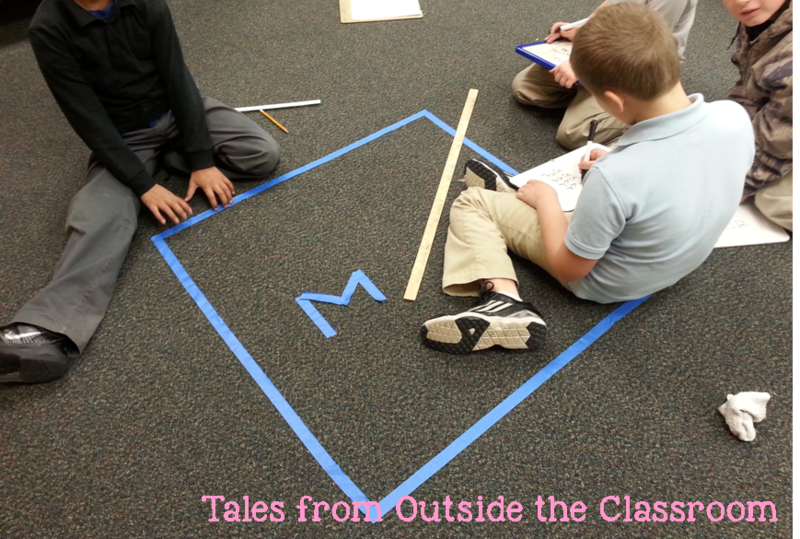 This integrated math and writing area and perimeter unit was born from this idea. I begin by having students create their own little elf. I pre-cut out rectangles in a few different sizes and colors and let students choose the shape and the color they want. I make sure my rectangles fit while being measured to the nearest inch since we will use these rectangles as our basis for finding area. Other lengths could be used, especially if you want to incorporate measurement standards, but your work with adding and multiplying the fractional parts would be affected. This would be a great way to incorporate the unit with students in fourth grade, or to differentiate for students who are able to practice adding and multiplying fractions. Students choose their rectangle piece and then work to assemble their elf using other construction paper pieces. Students know the only rule is to not cut their rectangle. I also allow students to decorate their elf bodies as they would like. I give them some ideas for accents they can put on, but basically give them time to work to make their elf their own. During this time, I don’t focus on the educational aspects we’ll do later. They’re just making elves. After students create their elves, I introduce the concept of area and perimeter using the e-book I created. It explores ways elves would use area and perimeter at the North Pole. It also explains how to find area and perimeter and gives students opportunities to practice both. The e-book is in a pdf so you can project it and go through it one page at a time. Because, it’s a pdf, you can also print individual pages, to use as posters in your classroom. There are definition posters for area and perimeter, as well as pages giving examples of each. After reading the e-book, I have students measure the torso of their elf and use those measurements to record the area and perimeter of their elf. They record their measurements on the half sheets and then save them for our display we’ll create after our writing project is complete. After introducing area and perimeter with this unit, I love to use Cheez-Its to practice a hands-on application of measuring the area and perimeter of a rectangle with unit squares. Then we work on a couple of the printables from the unit on finding the area and perimeter with unit squares. We also work on the writing project during our writing block during the same time. In the writing portion, students create a biography for their elf. They begin with this quick look page at the elf’s life. After creating their elf’s life map, they use those ideas the writing organizer, below, to plan paragraphs for their biography. After finishing rough drafts and then revising and editing, the writing can be published with the included line paper. Each of the pages for the elf writing include several different elves allowing students to choose between skin and hair color. Before moving on to other aspects of area and perimeter, I like to give students hands-on practice both with measuring and finding area and perimeter. I have used an extra classroom to create larger shapes using tape. 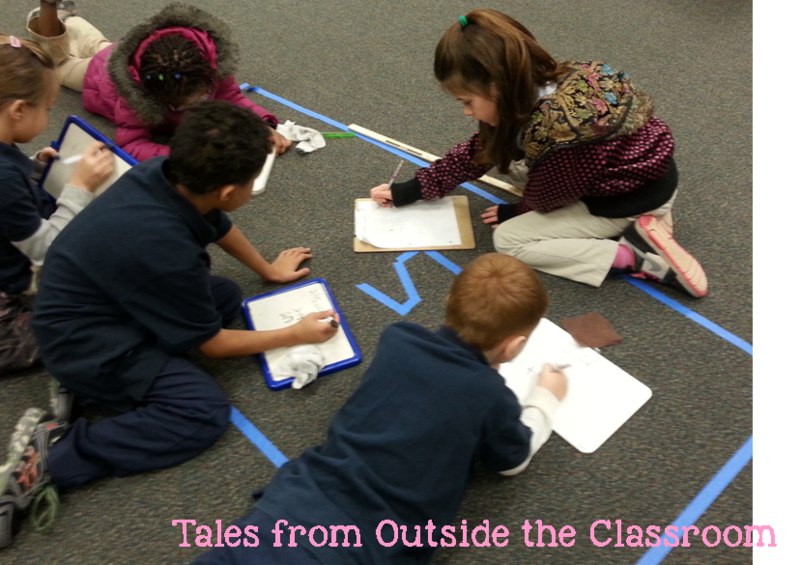 Each group uses one ruler and one yard stick to measure rectangles of various sizes deciding what was the more appropriate tool to measure. We also practice using the task cards in my Elving Around unit. There are 24 task cards and a recording sheet. 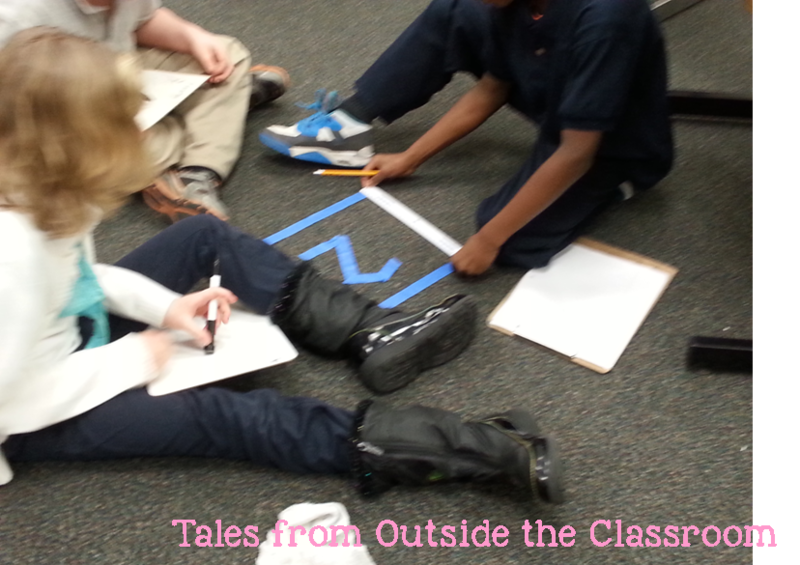 Students record the given side lengths and then identify the area and the perimeter of the given shape. We then continue our work with area and perimeter by working with shapes with an unknown side length. I have created an e-book to walk the students through the steps to find the length of the missing side in order to then find the perimeter of the shape. The unit also includes four pages of printables. We then also work on finding unknown side lengths when given area and perimeter. There’s an additional e-book for this skill, as well as printables and task cards. The unit also includes practice with finding the area of a rectilinear figure by decomposing the shape into smaller rectangles. There is another e-book that’s perfect for your direct instruction lesson, and printables for students to practice both decomposing the shape and finding the area. All of this is included in my Elving Around unit that I have in my TpT store. I created this unit to cover all of the 3rd grade standards for area and perimeter. You can click the image below to head to my TpT store to check out the preview and take a closer look at it. After we’ve used this unit to introduce and practice area and perimeter, I continue to practice it throughout the rest of the year to keep the skills fresh in students’ minds. We spend a day doing a Solve the Room or Scoot using my Area & Perimeter Task Cards and we practice recognizing and solving word problems with area and perimeter in real world situations. To see more about those two products, click the images below.